Looking for an engineering job? You've come to the right place. Our recruitment partners have incredible opportunities for you. Check out the latest engineering jobs. This is an exciting opportunity for an experienced manager to provide leadership to a programme of works comprising of multiple project teams, including varieties of consultants, master planning and clients. Experienced Structural Design/Draughter required to join local niche Structural consultancy in Hamilton. Develop customer centric operations for infrastructure, parks & property assets & lead delivery of roading, 3 waters, waste management & capital works. Due to continuing demand for our services and to meet growth strategies we are looking for a Mechanical Engineer with hydropower experience to join our team. Use your biomedical engineering experience to support the Arawa District Hospital and enable better health outcomes in rural Bougainville. Share your skills and ensure improved capacity to carry out hydrogeological analysis and reporting in Timor-Leste. n this role you’ll work alongside local tertiary graduates and village water technicians to develop and build WASH facilities. In this role you’ll work alongside local tertiary graduates and village water technicians to develop and build WASH facilities. In this assignment you will provide technical advice to support the design and implementation of effective water and sanitation systems to help improve access to sustainable, affordable and safe drinking water. In this assignment you will provide technical advice to support the design and implementation of effective water and sanitation systems. Positions available and are looking to attract people with either Land Surveying or Civil Engineering experience. Davis Ogilvie & Partners Ltd is looking for an enthusiastic, motivated Structural Engineer to join our Nelson Team. 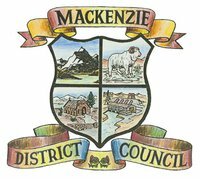 The purpose of this position is to manage and operate water services asset management information systems and databases within the Waters Department. 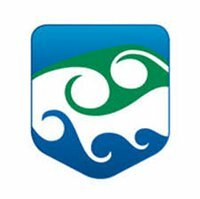 This busy role is focused on developing and implementing long term strategic initiatives for each of the Waste and Drainage asset areas, thus building on the substantial base already established by Whangarei District Council. DCC is looking for passionate, driven individuals to join our 3 Waters Contract Delivery team. We’ve openings from Graduate Engineers and Project Managers through to Subdivision Managers and Business Analysts. BMC Consulting are establishing a new office in Invercargill, within the next month, and we are looking for energetic and passionate people (Senior and/or experienced Structural Engineers and Revit Technicians), who align with our visions and values. We are looking for a full time Academic Staff member with 2 years minimum relevant industry experience in the Civil Engineering sector to join and be part of the NZIHT team at our Hamilton Campus. We are seeking accepting expressions of interest for full-time teaching on the New Zealand Diploma in Engineering. If you are an experienced project manager who enjoys working in a collaborative environment and want to be directly involved in the Council's vision of 'Building a Lifestyle Capital' then we are looking for you to apply. A unique opportunity for an experienced Geotechnical Engineer to join the largest geotechnical consultancy business in New Zealand! If you have experience in geometric road and pavement design, three waters design, and construction supervision for infrastructure and land development projects – then we may be able to help you write the next chapter of your career journey! Sorry! We don't have any jobs listed for this region right now.